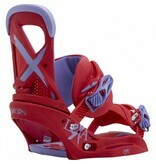 The original women’s binding remains our team’s most popular pick, offering pro-caliber control for dominating the entire mountain. 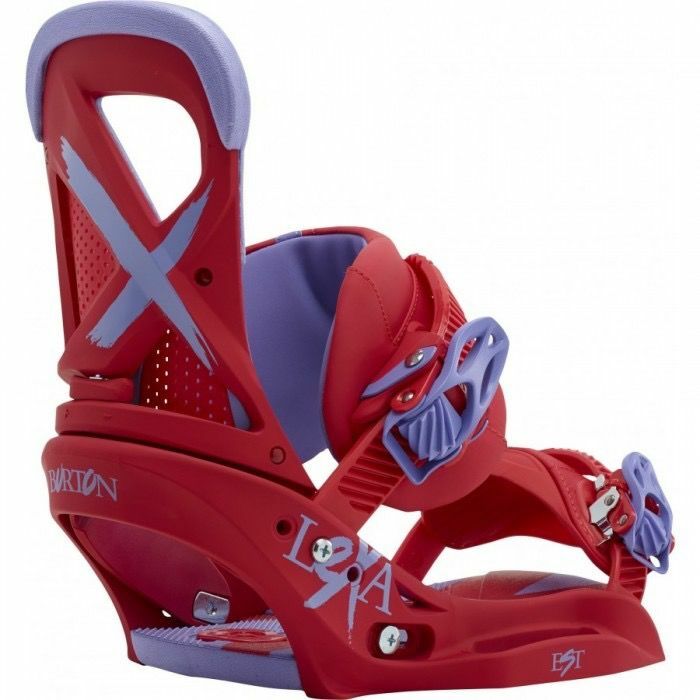 Baseplate: 30% Short-Glass/Nylon Composite, EST® Baseplate Construction, Rides Exclusively with Burton Boards Featuring The Channel Hi-back: Single-Component Hi-Back Construction, Canted Hi-Back Design, Living Hinge™, Zero Forward Lean HI-Back, Heel Hammock, DialFLAD™ Straps: Women's-Specific True Fit™ Design, NEW Asym Hammockstrap™, Flex Slider, Super Grip Capstrap™ Cushioning: AutoCANT SensoryBED™ Cushioning System, B3 Gel, Features Re-Ground Materials to Reduce Waste Offering legendary freestyle performance, it’s no wonder the Lexa is a top pick for a whole host of Burton (and non-Burton) pro riders. Double Take buckles with Insta-Click get you strapped in fast and dropping first. The NEW Asym Hammockstrap™ and Super Grip Capstrap™ combined with a supportive Heel Hammock in the hi-back cradles your boot so securely you can even run your straps a little looser. Experiment with the hi-back’s Zero Forward Lean for a more playful feel while treating your body right with the anatomical comfort of AutoCANT cushioning.